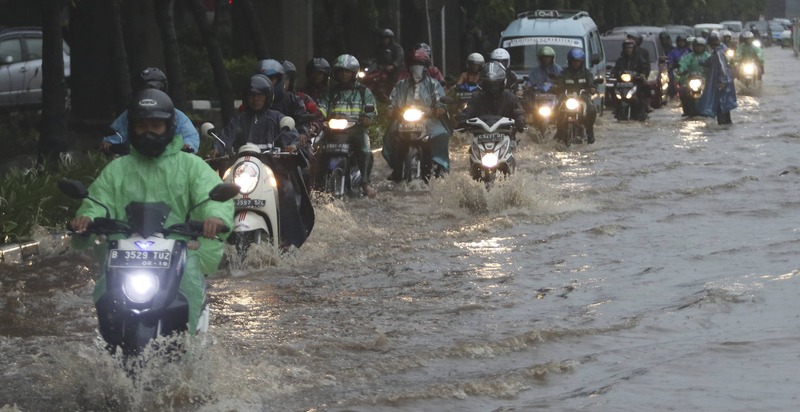 'There’s no wind, no rain, but Minister for National Development Planning Agency (BAPPENAS) Bambang Brodjonegoro on Monday announced that the government plans to move the capital from Jakarta in 2018.' This was the lead paragraph of an article published by Indonesian newspaper Kompas in March last year. For Indonesians, it is common to use such local proverbs to express surprise about the government's plans. For years there has been talk of moving the Indonesian capital away from Jakarta, but no progress has been made. The plan is reannounced almost every year, and we repeat the same discussion. The idea of moving the capital from Jakarta – a city that in the modern era is renowned for crippling floods, traffic and overcrowding – is believed to have first circulated shortly after Indonesia declared independence in 1945, when the nation’s founding father, Sukarno, formed Panitia Agung (the Legislative Grand Committee). Sukarno reportedly favoured moving the capital to Palangkaraya, in southern Kalimantan. But this history is debated. The former minister of BAPPENAS, Andrinof Chaniago, was sure that Sukarno wanted the change, but historian JJ Rizal disagreed, saying Sukarno’s wishes had been misunderstood. Rizal told me that the construction of the National Monument, Semanggi Interchange, Bundaran Hotel Indonesia, and Gelora Bung Karno Stadium in Jakarta was proof that Sukarno didn’t want to move the capital. While the historical debate has continued, news of moving the capital city is slowly swallowed by the wind, joining with the dust of rumours about the political motives driving the relocation. In the 1980s, during the years of dictatorship, Suharto announced a plan to move the capital to Jonggol, a sub-district of Bogor Regency, West Java. After the announcement, developers started to buy hundreds of hectares of land in this area. One of the developers was PT Bukit Jonggol Asri (BJA), whose majority share belongs to Bambang Trihatmodjo, the son of Suharto. Eventually, Suharto abandoned his idea. Why, then, has moving of the capital only ever remained a plan? One reason is location. In the days before Dutch colonisation, Jakarta was nestled between the mountains and the sea, and the surrounding area was a source of crops, building materials, and human resources. The city’s heyday commenced when Calapa, or Sunda Kelapa, became the most important port for great traders from Sumatra, Malacca, Makassar, Java, Madura, and many other places, to do business. It was the Sultan of Cirebon who successfully occupied Sunda Kelapa in 1527 and renamed it Jayakarta, meaning ‘The Great Victory’. In 1619 the Dutch transformed Jayakarta into their Asian headquarters and renamed it Batavia. The Dutch continued to develop Batavia into a hub of the intra-Asian maritime trading network. Jakarta was either destined or designed to be the centre of politics, business, or international relations – and this continues. In modern times, Jakarta has made national headlines consistently, including stories of riots in 1998 during the protest to oust Suharto, the mega-corruption case of national identity card e-KTP, the 2016 terrorist attacks, and rallies last year in response to governor Ahok’s blasphemy case. The city is also becoming a benchmark for Indonesian politics, particularly since the enactment of a regional government law in 2004 that allows a regional head to be elected directly by the people. These elections, known as pilkada, serve as platforms for political careers, and because Indonesia media is Jakarta-centric, the Jakarta election has been covered nationally. Since the first pilkada was held in June 2005, local politicians and parties have looked to Jakarta to boost their national political career and attract more voters, targeting a ‘Great Victory’ in the presidential election. The rise of Joko 'Jokowi' Widodo is a case in point. Jokowi decided to run as a candidate in the Jakarta regional election before he battled Prabowo Subianto in 2014’s presidential election. He knew that the road to the palace begins in Jakarta. This year, Jokowi promises to move the capital with further no delay. Predictably, Fadli Zon, deputy speaker of the House of Representatives and the closest ally of Prabowo, came out strongly in opposition, calling the plan 'a rash decision'. 'The government should focus first on small jobs, do not think about moving the capital,' Fadli Zon said, stressing the huge cost to the budget and the need to fund existing infrastructure projects and pay foreign debts. It’s clear that the plan to move the capital requires not only money, but also an 'endorsement' from the opposition. Capital or not, Jakarta actually has no more time to wait. As The New York Times reported last December, the capital is sinking faster than any other big city on the planet. A recent survey named Jakarta as the city with the world's worst traffic, the world’s worst city for women, one of most expensive places for expatriates in Asia for mid-market rentals, and the ninth most inhospitable city in the world for travellers.